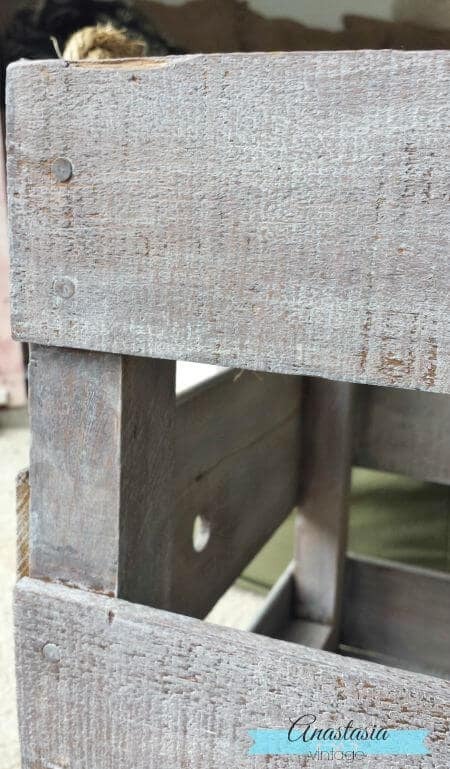 If you enjoy rustic home decor and DIY projects, then you will LOVE this DIY ottoman tray. It’s so easy, just find some driftwood and get crafting! Good morning, dear readers! 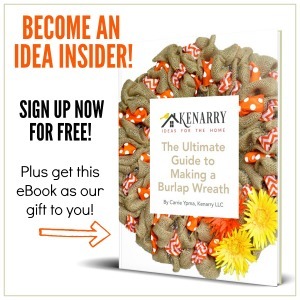 It’s Stacy from Anastasia Vintage joining you here again at Ideas for the Home by Kenarry™! 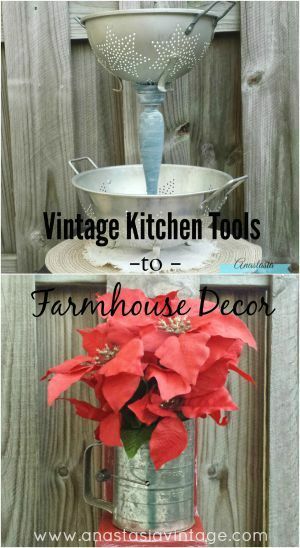 This month, I’m sharing a simple, rustic DIY idea that you can use to add a touch of vintage style to your home. 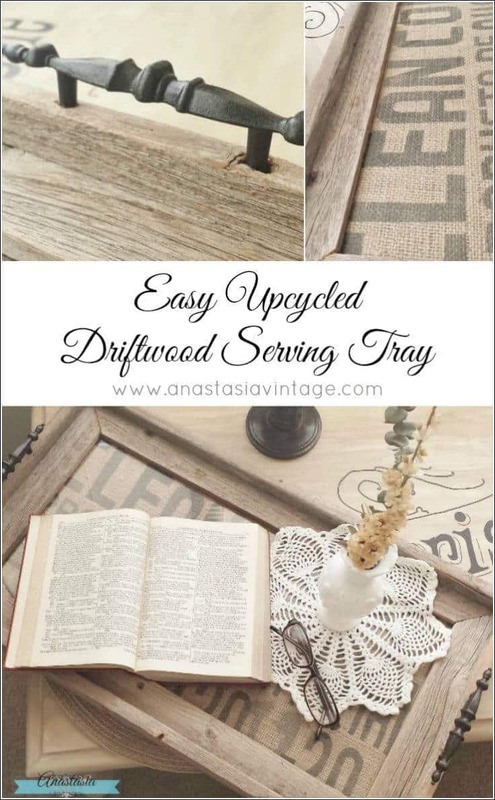 Take a look at how I created this easy upcycled driftwood serving tray with just a few simple supplies! This is so easy. I literally found an old wood frame and knew I wanted to turn it into a serving tray. So here’s how you can make one too. These steps are so simple. Here’s how to make your own ottoman tray. 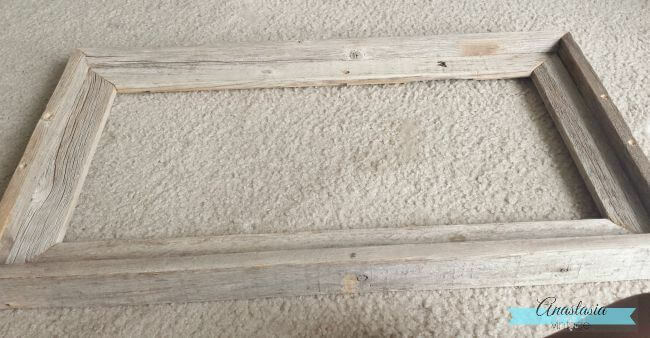 While at a local garage sale last weekend, I found a worn and very charming barn wood frame for just a few dollars. Sometimes it takes a while for inspiration to strike when I pick up random garage sale finds, but not this time! I knew right away that the 8×10 opening and raised sides would make a perfect tray with just a few simple additions. 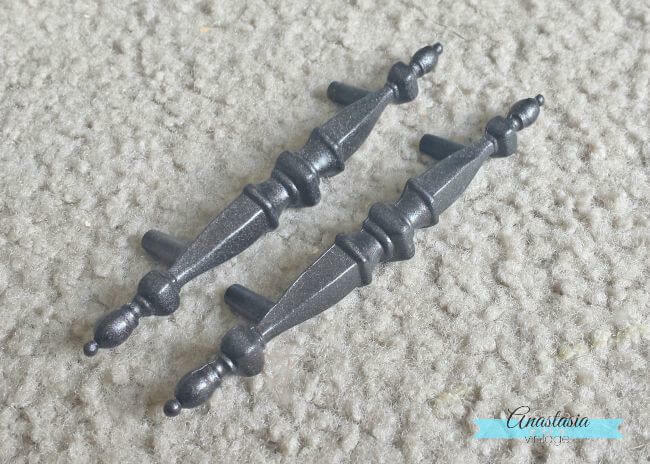 Just a few days later, I found a pair of antique drawer handles at the thrift store, and revived them with a shot of Rustoleum spray paint in Old Rubbed Bronze. Since the handles would be used to carry the weight of the tray, I wanted to recess them into the frame to give it more stability. After a cleaning and light sanding, I drilled a pair of 1/4 inch holes about a 1/4 inch into each side of the frame. I debated for some time what I would use to fill the frame’s opening. Textured wallpaper? One of my many scraps of fabric? 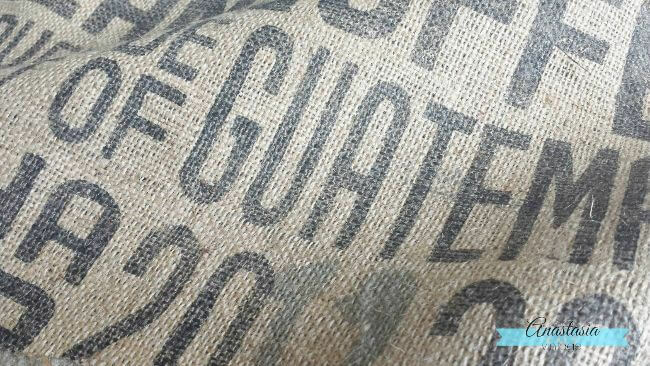 When I stumbled on a set of burlap coffee sacks I’d purchased last summer, I knew I’d hit the jackpot! I mean really, how perfect is that coffee graphic for a serving tray?! 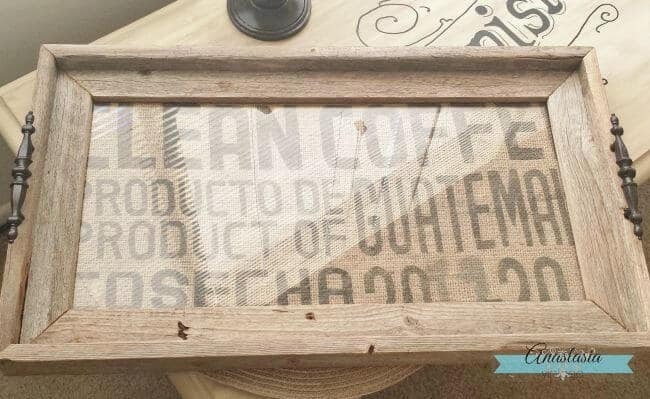 Then, it was just a matter of assembling the pieces – first the glass from the frame, then the coffee sack, a piece of cardboard backing, and a 1/8″ thick piece of hardboard to give the bottom a clean finish. Lastly, I attached the handles with some epoxy adhesive. And there you have it! Simple, right? What Can You Use to Attach the Tray Handles? Since I originally published this tutorial, I’ve received questions about the best ways to attach the handles. Since you will be using the handles to carry the tray, it’s important that they don’t fall off. 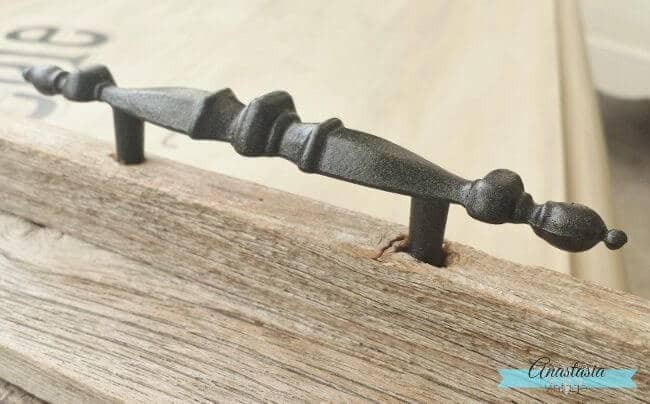 Drill and Screws – Most handles have a place you can screw them into the boards. Attach them from the underside of the picture frame. 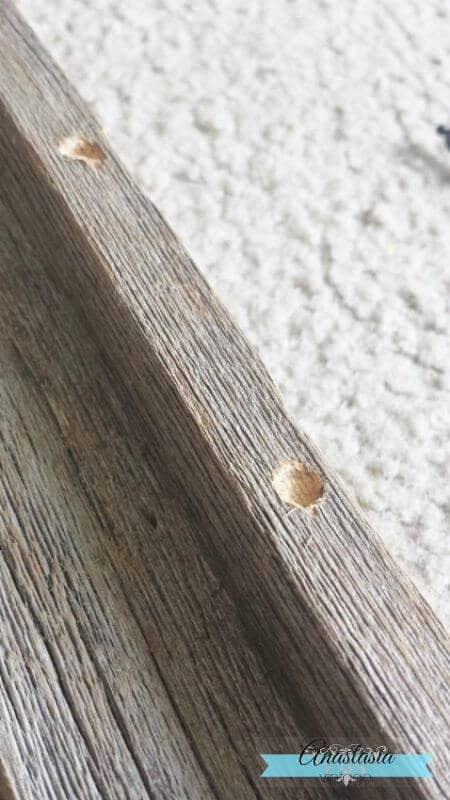 Wood Glue – You can also use wood glue. But make sure it doesn’t overfill, or it will appear messy. 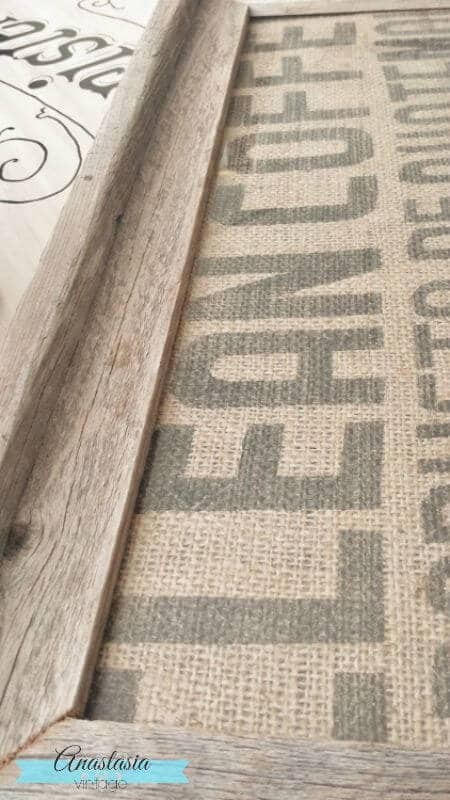 The weathered texture of driftwood is one of my favorite looks for the home. 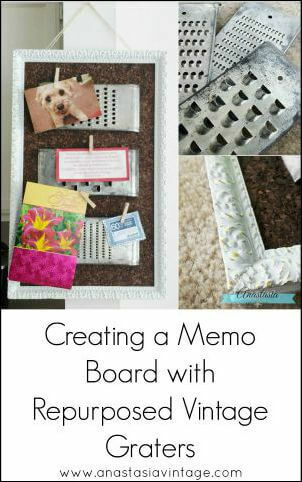 And the great news is that you can recreate this look with just about any picture frame; you can even build a simple wooden frame to make a custom-sized tray and give it a weathered finish. 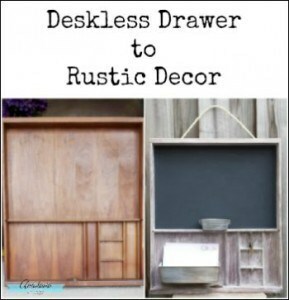 Be sure to check it out, as well as these other great repurposing ideas! See you next month with more DIY inspiration! And if there’s a vintage idea you’d love to learn more about, feel free to send me a message at [email protected]. 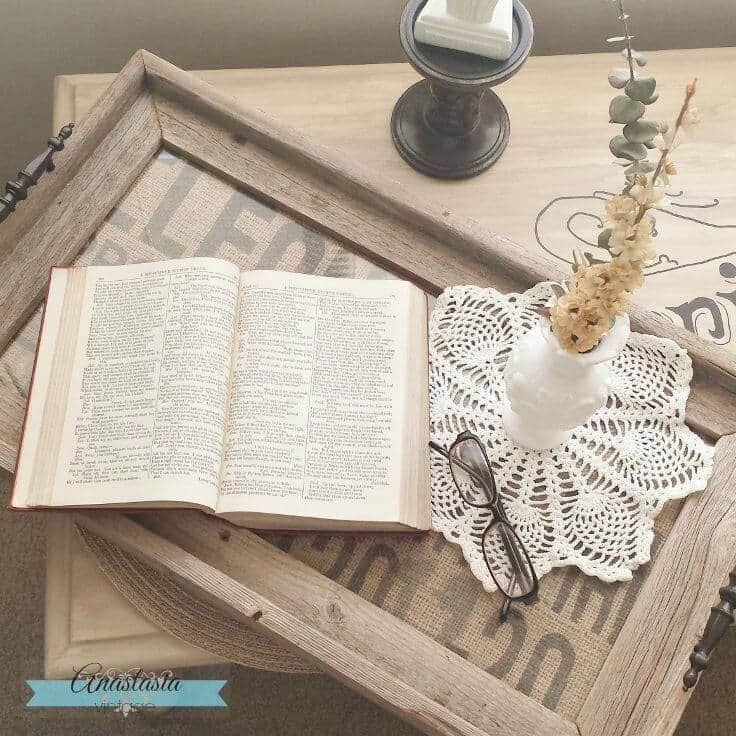 Check out these rustic home decor ideas on Kenarry! 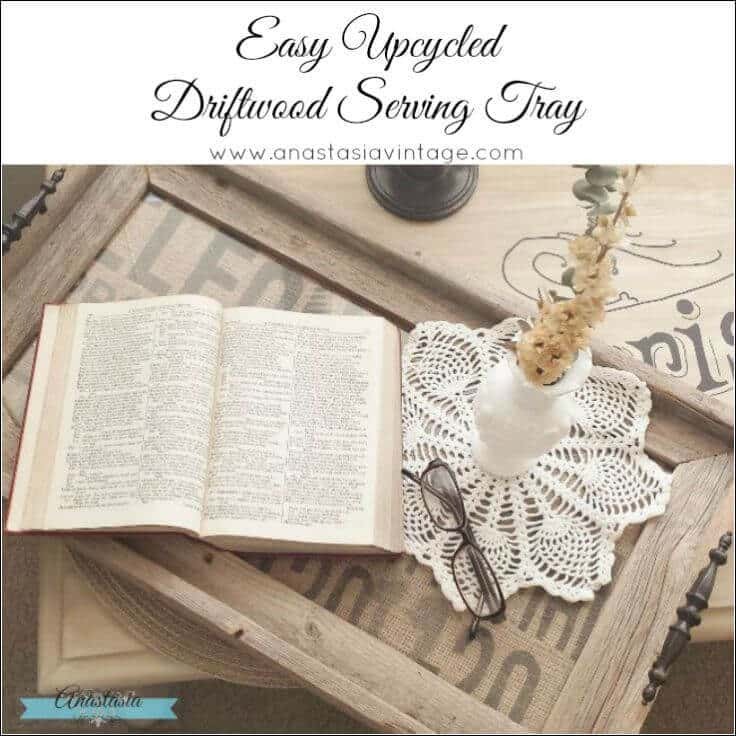 Stacy is a writer, designer, and crafter at Anastasia Vintage, a little corner of the web where she and her husband, Eric, bring unloved vintage goods back to life. On their blog, you’ll find DIY furniture revival projects, vintage-inspired crafts, free printables, and tips & tricks for adding contemporary vintage style to your space. When they aren’t looking after their sweet furbaby, Kylie, you’ll find the pair enjoying music, good books, and international cuisine. 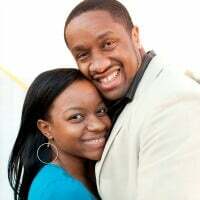 Follow Stacy on Facebook, Twitter and Pinterest. Originally published July 2015. Updated July 2018.